Hello everyone! 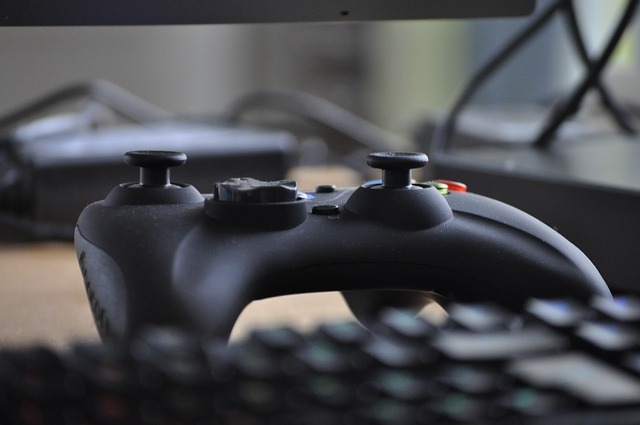 Today, author Shane Hall is pays a visit to the site with his insight regarding the connection between video games and fiction. Take it away, Shane! You’re wrapped up in a story. You weren’t too sure about where it was going at first, but now you’re hooked. It must have happened somewhere around the two stunning plot twists that make you want to start all over again once you’re done. You’ve been regularly making progress on the story every day, like you are now. But then it’s time to stop. Maybe your lunch break is over, or it’s time to go out shopping, or the bus ride is finished. But you don’t pick up a book marker or close up a binding. Instead, you hit “save”, or tab out from the browser you were using, step away from your desktop, or set your device aside. Is this the future of enjoying fiction? Well, partly. What has shocked me recently is a discovery, one I made after enjoying a lot of traditional fiction books and a lot of games or interactive stories. That discovery is that these two mediums are not so different. They are linked, in fact, by a particular element that until now has only really been associated with games: interactivity. Video games are obviously interactive, but how are books and other common formats for storytelling interactive as well, and in what ways could they be made more so? What can an author, who wants to make their readers more engaged, learn from this? Interactivity is the chief source of differentiation between games and similar media, but when most people hear such a term, they immediately think of two things: input, i.e. controls, and choices. If it doesn’t have clearly marked choices that require the user’s active participation, then it must not be interactive. This leads most people to only imagine non-game interactive fiction as something like a choose-your-own adventure novel. You read a little, you make a choice for how the story proceeds, you move to a place in the story you can only reach by making that choice, and eventually reach an end and go back to try other choices until you’ve read everything. Digital books have made this sort of thing a lot more user-friendly, using clickable links to snap readers around to different parts of the text instantly. I even experimented with such a project in the past. However, all of that, while great, is not the full meaning of interactivity in fiction. In reality, interactivity has been a factor of books since their very origin, without blossoming it into some kind of gimmick. A reader must “interact” by opening the book, turning pages, holding the book open, and adding a marker to save their place. Meta-horror works like House of Leaves take this to the extreme, turning a physical book into a kind of puzzle game that has you holding it upside down, comparing statements to margin notes, etc. but it really doesn’t have to be that complicated or detailed. Now, if you’re an author, ask yourself: what sort of interactivity do you want for certain parts of your story? You could decide, for instance, that an action scene should be more quickly readable, using more white space and concise descriptions so that the reader will be flipping through pages. How about deep, intense revelations in the plot? Larger paragraphs that overwhelm the reader with the whole truth might be more appropriate. Shifts in word choice and complexity of language could also condition the reader to subtly absorb the meaning or tone of a certain passage. 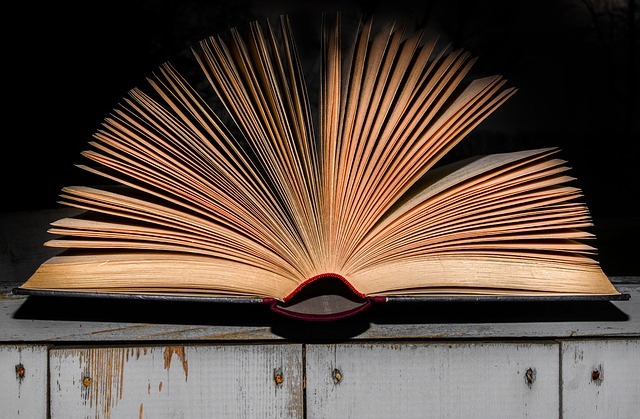 References to other works you’ve written could create a fun cross-book experience where your most passionate readers have reason to return from one book to another. Looking beyond text, how about the pacing and the way the story is broken up? Ending the last scene of a chapter at the peak of tension and leaving certain things to the imagination is an easy but powerful trick that gets readers interested in continuing the next chapter (not that it should be abused). This is subtly teaching the reader that interacting further, and getting toward the end of a chapter, is a good way of reaching an especially exciting point in the plot. Visuals are like a rare treat in books, and can have a big impact just based on how they’re used. If you want a picture to be shocking, you could place it on a left page, so it hits people as soon as they turn the page. Conversely, you could place a more mood-setting image on a right-side page. The Scary Stories to Tell in The Dark series is an intense example of this. Images can also contain information that might be missed at first glance, and later revelations in the story can send readers flipping back to the picture’s page to look at it more closely. The important thing is that just because reading involves the eyes and is controlled by the hands does not mean that it’s synonymous with sitting in front of the TV with a remote in your lap. If you don’t believe what I’m saying, then consider this: when was the last time a movie or TV show did something that intentionally drove you to control the experience with the remote? The best example I could think of would be visual background gags and other small, easily-missed details, but this sort of thing usually just invites another passive viewing. The average book is something people take with them to places. People hold books in their hands at all times while using them, and most of all, they’re complete packages. 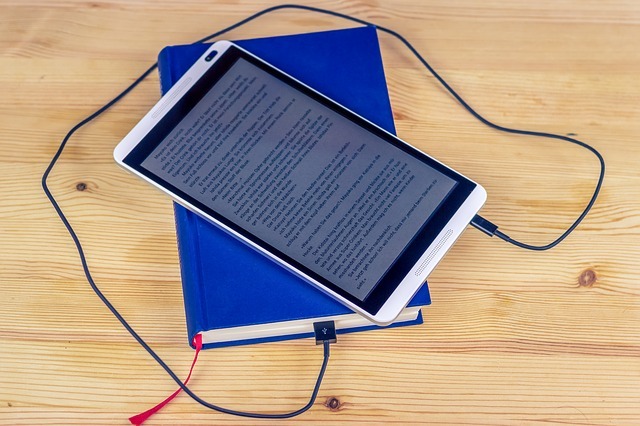 You don’t plug books, or even e-readers, into an expensive piece of equipment, or third party hardware, and there is nothing to tie down the experience. There is no sitting back and letting a book run while you eat ice cream, so why not take advantage of that? There are even audio-books today made to add narrative engagement to routine physical activities, such as a zombie apocalypse audio-book that integrates the fact that the reader is going for a run. Just be sure of one thing: whatever you do to make the reader interact on a deeper or more interesting level, have a point to your tactics. This all boils down to looking at your writing, your story, and your objective from the reader’s perspective, and finding a new lens with which to judge your work and seek out improvements. As an example in my own work, one of my major projects, The Veminox Saga, uses interactivity to control how the story is consumed. Veminox is a linear dark fantasy story delivered through a personal email subscription. This makes it a sort of serial to be enjoyed in the same fashion as checking up with the daily newspaper comic. What’s more, the emails only deliver the next entry after the reader has clicked to read the last one, meaning they must interact to continue the story and can also choose not to in order to pause for a little while, never getting overwhelmed with emails they aren’t ready for. Thanks to modern technology, you can use interactivity to shape how readers experience your work or add a little interesting polish to that experience. But what about more direct, daring approaches, where you actually make an interactive story? This is where things get really intriguing. If you’re at all interested in seeing the potential of interactive fiction, all I can say is buckle up, because what’s already been done shows just how much amazing potential is out there. Since this is a massive new world growing out of other mediums and really deserves its own separate discussion, I won’t go too deep into it here. If you’re at all interested in mild, slow-burning horror or atmospheric fiction, and are not familiar with gaming at all, I’ll leave you with one brief recommendation, a free appetizer: “my father’s long long legs” by Michael Lutz. I think after reading this, anyone can get a sense of what modern technology has gifted to authors with an urge to experiment. I hope this was eye-opening or interesting to you, and that it informs your writing or reading choices in the near future. I’d like to give a big thank you to P.H. Solomon for letting me be a guest writer! Shane Hall is an author of experimental fantasy and science fiction, with a focus on complex, intense stories told in exciting new ways. His main projects are the Feedback Serial: a series of episodic dystopian novellas set in a world with severe noise limits, as well as Veminox: a free dark fantasy series delivered through email. 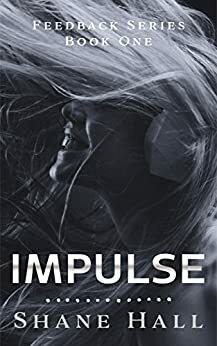 My first book in my dystopian serial is here https://www.amazon.com/dp/B00YBLK4W8 that one is free, and it’s called Impulse, Episode One of the Feedback Serial. 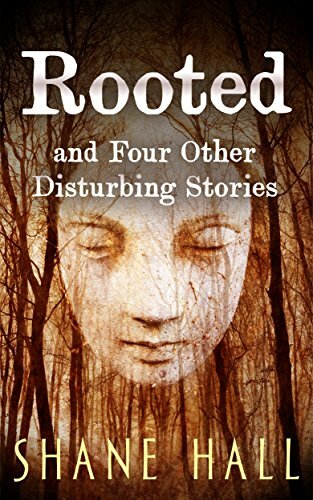 I also have a one-off flash fiction book for 99 cents for people who don’t want to start a series: https://www.amazon.com/dp/B00W2ZBC30 that one’s called Rooted and Four Other Disturbing Stories. Thanks to Shane for appearing on Fantasy Authors Unplugged with the his post today. Please take a few minutes to look over Shane’s books and connect with him on social media. Agreed. Shane made some excellent points. Interesting and Worth reading ideas and concepts.